With fun activities to go along with your story time adventures, our Disney Driven Kids Book Club promises to bring more to your average bedtime story. Every 2nd Thursday we will present a “theme”. We will also provide ideas & suggested activities to tie in with your story. You are able to pick stories & activities according to your child’s age/reading level. Then, meet us on Twitter in 2 weeks to share what ideas you used & how they worked. Also, be sure to join our Facebook Disney Driven Kids Group where we will post ideas, links & other fun activities! Winnie the Pooh – a classic, timeless story about a boy & his bear, a friendship beyond compare. These heart-warming stories have created bonding moments, taught life lessons and strengthened friendships. With books available at almost every reading level, this is a perfect theme for our very first Disney Driven Kids Book Club! All of the suggested titles in this article were found at my local library, but I have included Amazon links, as well. So let’s get started! 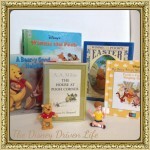 Toddler/Preschool – Disney has a great collection of “My Very First Winnie the Pooh” books. There are many books in this series to choose from. One in particular that I found was My Very First Winnie the Pooh Pooh’s Favorite Singing Games. This is a great little book with lots of interactive songs -Head & Shoulders, Knees & Toes; Old MacDonald; Open, Shut Them just to name a few. Younger Children – There is a vast collection of beautifully illustrated Winnie the Pooh books. Many are classic stories, holiday themed & life lesson adventures. A few that I found were Winnie the Pooh’s Easter, Winnie the Pooh– A Bear-y Good Neighbor, & Winnie the Pooh. Readers – You can’t go wrong with the originals! The House at Pooh Corner, Now We Are Six , The World of Pooh, The World of Christopher Robin are just a few. These are longer chapter books with minimal pictures. Once you have chosen your book, let the fun begin! Here are some activity ideas to enhance your story time! Please remember to adjust the activities to fit the needs of your child(ren). Props are another great way to enhance storytime. Don’t forget to include your favorite stuffed Pooh Bear & friends or even pull out the old Winnie the Pooh toys from the shelf! It doesn’t have to be big or elaborate…have fun! Celebrate 75 years of Winnie the Pooh Dutton’s Children’s Books, a division of Penguin Putnam Books for Young Readers, created this site for Pooh’s 75th birthday (2001). It’s a treasure trove of original Pooh Bear fun! You can listen to audio samples of books, teacher/classroom lesson plans, play online games, have a Pooh party, Pooh recipes & more! Disney’s Winnie the Pooh UK site Official Disney UK site for Winnie the Pooh. 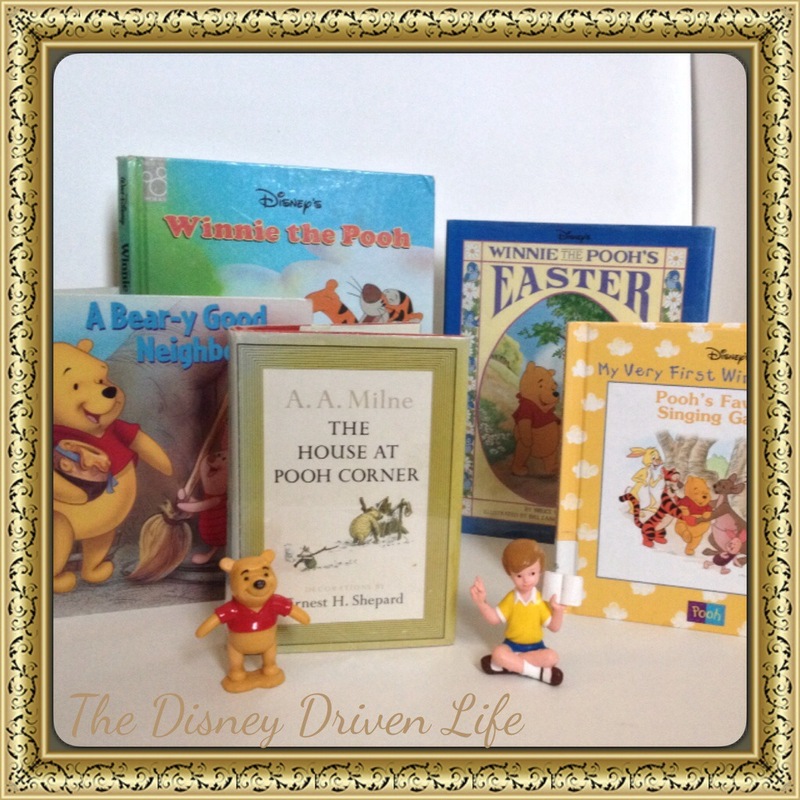 Lots of cute games, activity sheets & fun facts about the Hundred Acre Wood. The Storytelling Academy is also on this site with a few tips on how to improve storytelling. Winnie the Pooh the official Disney site Visit Pooh & his friends, play games & more! Winnie the Pooh Paper Lantern – this would be cute to make & use when reading at night. It doesn’t appear to be bright enough to read by, but a cute decoration/story aide. These are just suggestions. If you find a more suitable activity, please be sure to share it in the comments & our FB group! We would love to have pictures posted of your children’s activities, too! Be sure to meet up with us on Thursday, March 27th at 9pm on Twitter so we can all share & chat! ← Introducing the Disney Driven Craft Club!